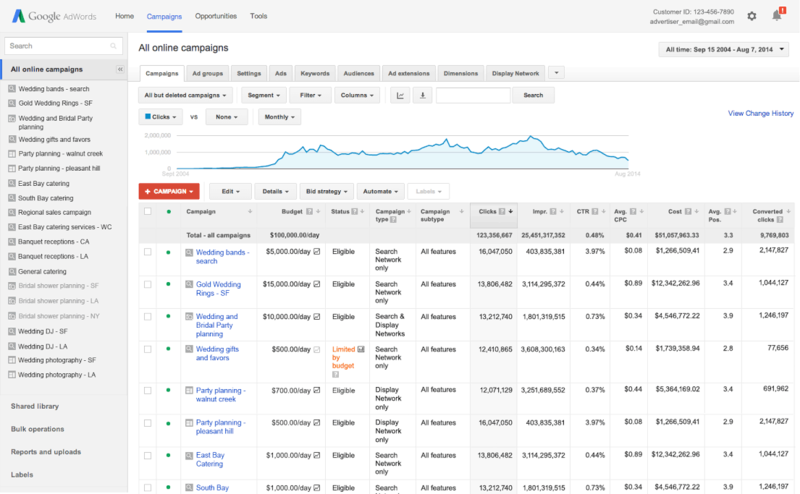 Google shared on Google+ that they have updated the design for the AdWords reporting interface ever so slightly. The left-side navigation bar has been changed from white to gray, and the highlight color is now blue. This creates more distinction between the navigation tools and your campaign data, providing a streamlined navigation experience to help you find what you need quickly and easily. All campaign type icons have been re-designed to help you more easily see the campaign types you’re looking for. You’ll notice more distinct icons for Search, Display, Search Network with Display Select, Shopping, and Video campaigns. Radio buttons and checkboxes have been refined to give a more consistent look and experience with other Google products you use. Here is a screen shot showing you those changes.